Remain well and truly protected at the grill and never get caught glove-less again with the Royal VKB Mitten Apron from the award-winning international design bureau FLEX/the INNOVATIONLAB. 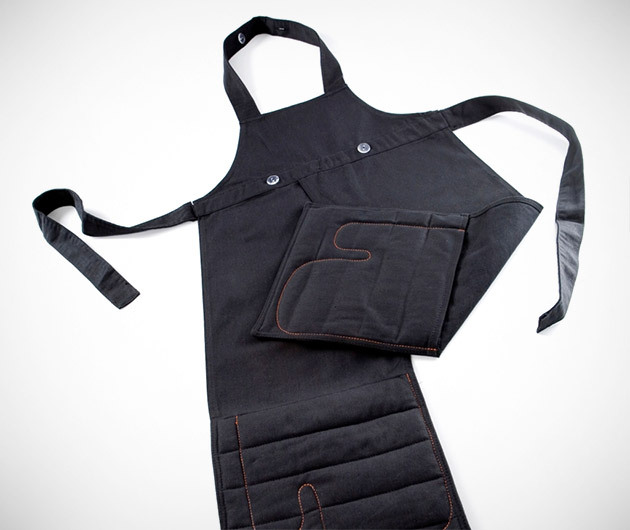 Not only does the manly apron sport built-in hand-guards, but buttons mean tea towels can be easily attached too. How's that for culinary organization?